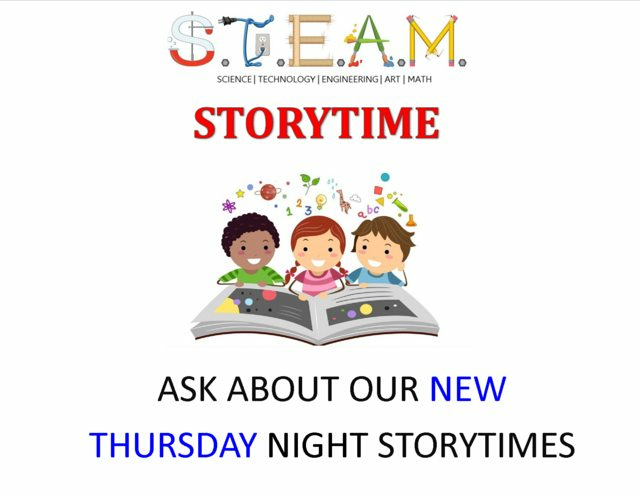 Come join us on the second and fourth Thursday of every month at 6:00 PM, for STEAM Story Time with Betsy. We will have stories to be read, and crafts to be made! So come on down to the Library. This event is free and open to the public!